ADELE fans got a special present from the star following her Scottish gigs. The singer made sure each and every audience member had the opportunity of taking away a little piece of her after the concerts at The SSE Hydro in Glasgow. During the finale of each show confetti dropped from the roof of the venue, showering everyone with love and good wishes from the star. 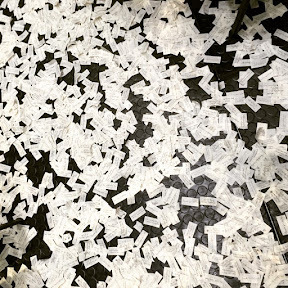 The specially made confetti carried messages of goodwill from the singer in her own handwriting. Messages on them included Hello, Thanks for Coming, We Could Have Had It All and All My Love, Adele. Some people scrambled to ensure they got a piece of the special memorabilia before it was swept away following the gig. 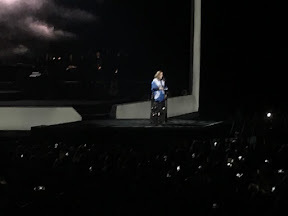 During the singer's second night at the SSE Hydro she also draped herself in a saltire as she sang Oscar winning song Skyfall.